by Peet, Amanda [Darst.] | Ejiofor, Chiwetel [Darst.] | Cusak, John [Darst.] | Emmerich, Roland [Regie]. Visual material | 2010 | DVD-Video | DVD | Science-Fiction/FantasyAvailability: No items available Checked out (1). by Mackie, Anthony [Darst.] | Cooper, Dominic [Darst.] | Walker, Benjamin [Darst.] | Bekmambetow, Timur [Regie]. Visual material | 2013 | DVD-Video | DVD | Science-Fiction/FantasyAvailability: Items available for loan: SB Hennef [Call number: DVD] (1). by Burton, Tim [Regie] | Carroll, Lewis [Vorlage] | Bonham Carter, Helena [Darst.] | Hathaway, Anne [Darst.] | Depp, Johnny [Darst.]. by Scott, Ridley [Regie] | Crudup, Billy [Darst.] | Waterston, Katherine [Darst.] | Fassbender, Michael [Darst.]. by Ditko, Steve [Vorlage] | Foxx, Jamie [Darst.] | Stone, Emma [Darst.] | Garfield, Andrew [Darst.] | Webb, Marc [Regie]. by Reed, Peyton [Regie] | Cannavale, Bobby [Darst.] | Corey, Stoll [Darst.] | Lilly, Evangeline [Darst.]. 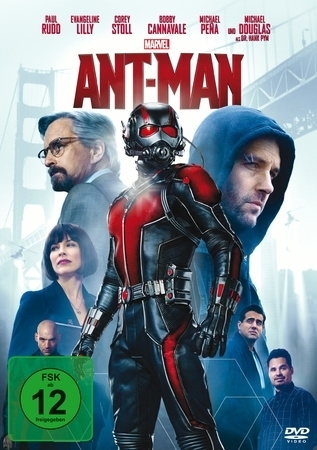 Visual material | 2015 | DVD-Video | DVD | Science-Fiction/FantasySeries: Ant-Man 1.Availability: Items available for loan: SB Hennef [Call number: DVD Science-Fiction/Fantasy] (1). Visual material | Science-Fiction/Fantasy | More titles to the topic Series: Ant-Man 2.Der vom FBI unter Hausarrest gestellte Ant-Man willigt ein, Hank Pym und seiner Tochter Hope zu helfen: Sie wollen Hopes Mutter aus dem Quantum-Mikrokosmos zurückholen ...Availability: No items available Checked out (1). by Cameron, James [Regie] | Weaver, Sigourney [Darst.] | Saldana, Zoe [Darst.] | Worthington, Sam [Darst.]. by Whedon, Joss [Regie] | Ruffalo, Mark [Darst.] | Hemsworth, Chris [Darst.] | Downey, Robert Jr [Darst.]. 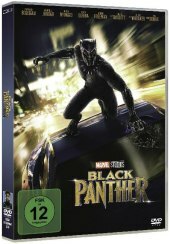 Visual material | 2015 | DVD-Video | DVD | Science-Fiction/FantasySeries: [Avengers] .Availability: Items available for loan: SB Hennef [Call number: DVD Science-Fiction/Fantasy] (1). by Silvestri, Alan 1950- [Komponist (Expression)] | Downey, Robert 1965- [Schauspieler] | Evans, Chris 1981- [Schauspieler] | Johansson, Scarlett 1984- [Schauspieler] | Lee, Stan 1922- [Sonstige] | Russo, Anthony [Filmregisseur] | Russo, Joe [Filmregisseur] | Markus, Christopher [Drehbuchautor] | Markus, Christopher [Kamera]. Visual material | Science-Fiction/Fantasy | Adventure | Literaturverfilmung | More titles to the topic Thanos macht sich auf die Suche nach den Infinity-Steinen um das Universum zu unterwerfen. 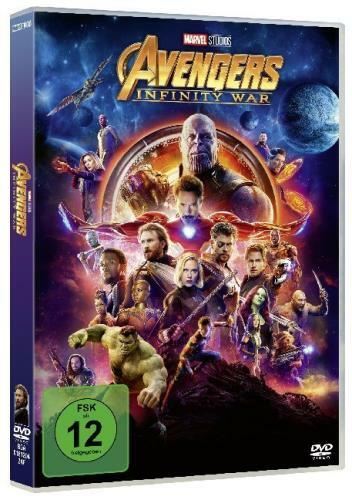 Die Avengers wollen ihn gemeinsam mit den Guardians of the Galaxy und Doctor Strange aufhalten.Availability: No items available Checked out (1). by Nolan, Christopher [Regie] [Autor] | Neeson, Liam [Darst.] | Caine, Michael [Darst.] | Bale, Christian [Darst.]. Visual material | 2005 | Spielfilm | DVD-Video | DVD | Science-Fiction/FantasyAvailability: Items available for loan: SB Hennef [Call number: DVD] (1). by Snyder, Zack [Regie] | Adams, Amy [Darst.] | Cavill, Henry [Darst.] | Affleck, Ben [Darst.]. 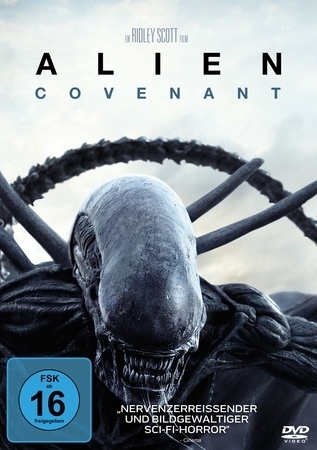 Visual material | 2016 | DVD-Video | DVD | Science-Fiction/FantasyAvailability: Items available for loan: SB Hennef [Call number: DVD Science-Fiction/Fantasy] (1). by Schwentke, Robert [Regie] | Roth, Veronica [Vorlage] | Daniels, Jeff [Darst.] | James, Theo [Darst.] | Woodley, Shailene [Darst.]. 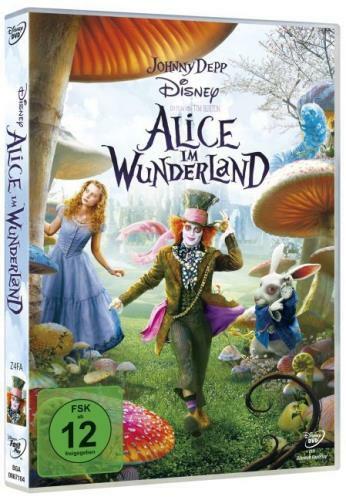 Visual material | 2016 | DVD-Video | DVD | Science-Fiction/FantasySeries: Die Bestimmung 3.Availability: Items available for loan: SB Hennef [Call number: DVD Science-Fiction/Fantasy] (1). by Roth, Veronica [Vorlage] | Winslet, Kate [Darst.] | James, Theo [Darst.] | Woodley, Shailene [Darst.] | Burger, Neil [Regie]. Visual material | 2014 | DVD-Video | DVD | Science-Fiction/FantasyAvailability: Items available for loan: SB Hennef [Call number: DVD] (1). by Roth, Veronica [Autor] | Schwentke, Robert [Regie] | Wick, Douglas [Prod.] | Spencer, Octavia [Darst.] | James, Theo [Darst.] | Woodley, Shailene [Darst.]. Visual material | 2015 | DVD-Video | DVD | Science-Fiction/FantasySeries: Die Bestimmung 2.Availability: No items available Checked out (1). Bram Stoker's Dracula / Regie: Francis Ford Coppola. Darst. : Gary Oldman ; Winona Ryder ; Anthony Hopkins ... Vorlage: Bram Stoker. by Stoker, Bram [Vorlage] | Hopkins, Anthony [Darst.] | Ryder, Winona [Darst.] | Oldman, Gary [Darst.] | Coppola, Francis Ford [Regie]. Visual material | 1999 | DVD-Video | DVD | Science-Fiction/FantasyAvailability: Items available for loan: SB Hennef [Call number: DVD] (1). by Csupo, Gabor | Paterson, David | Chapman, Michael | Zigman, Aaron | Hutcherson, Josh | Robb, AnnaSophia | Patrick, Robert. Visual material |  | Fantasy | Literaturverfilmung | Kinderfilm | More titles to the topic Availability: No items available Checked out (1). by Kirby, Jack [Vorlage] | Weaving, Hugo [Darst.] | Jones, Tommy Lee [Darst.] | Evans, Chris [Darst.] | Johnston, Joe [Regie]. Visual material | 2011 | DVD-Video | DVD | Science-Fiction/FantasyAvailability: No items available Checked out (1). by Clare, Cassandra [Vorlage] | Sheehan, Robert [Darst.] | Bower, Jamie Campbell [Darst.] | Collins, Lily [Darst.] | Zwart, Harald [Regie]. Visual material | 2014 | DVD-Video | DVD | Science-Fiction/FantasySeries: Chroniken der Unterwelt .Availability: Items available for loan: SB Hennef [Call number: DVD Science-Fiction/Fantasy] (1).